GOLD DEALERS in Dubai, a major transit point for the international bullion market, are refusing to trade Gold Bars produced in Turkey, while others are asking for deep discounts, owing to fears that the gold may be part of deals to break US sanctions on Iran, Reuters reports. 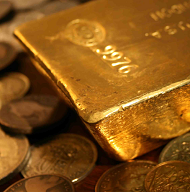 "This is not something declared," a Turkish gold industry source tells the newswire. "It has been going on very quietly for the past month. 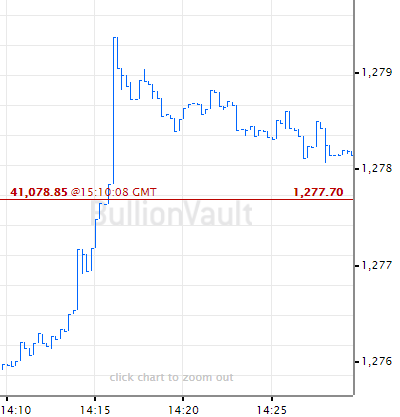 Some international banks have taken the lead in this and they are simply staying away from any gold bullion that is coming out of Turkey." Sanctions against Iran imposed by the US and European Union include bans on dealing gold, diamonds and oil with Iran and a block on Iranian banks accessing the SWIFT interbank transfer network. Following the imposition of sanctions a year ago, exports of Gold Bars from Turkey to Iran rose sharply, with Iran buying the majority of Turkey's gold exports. Last August, exports of gold shipped to the United Arab Emirates were up 753.8% from a year earlier, according to official Turkish data. A report last month suggested Turkey would have been in recession were it not for its gold exports to Iran. Turkey's energy minister last year confirmed the country was using gold in its trade with Iran, with reports suggesting gold was being traded for Iranian oil, with Iran then using the gold to buy imports such as food. Turkish government officials have acknowledged the trade of gold for energy, but have insisted it is taking place exclusively within the private sector and so is not a government issue. "We do not feel legally bound by any unilateral sanctions by any country, except if they are endorsed by the UN Security Council under Chapter 7," Reuters quotes an unnamed Turkish official. "If [Iranian people] buy gold here and send it somewhere else, that is up to them...t is not government or government agencies selling gold." 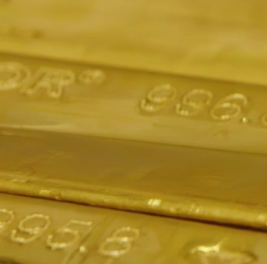 Authorities in Dubai however are asking questions about the provenance of Gold Bars traded within the emirate. "They are collecting information; they are also doing a back-door investigation," an anonymous gold industry source tells Reuters. "This is not a Dubai-particular issue," adds another source in Dubai. "It has started here due to the flows of Turkish gold, but this has now become a global issue around Turkish gold."